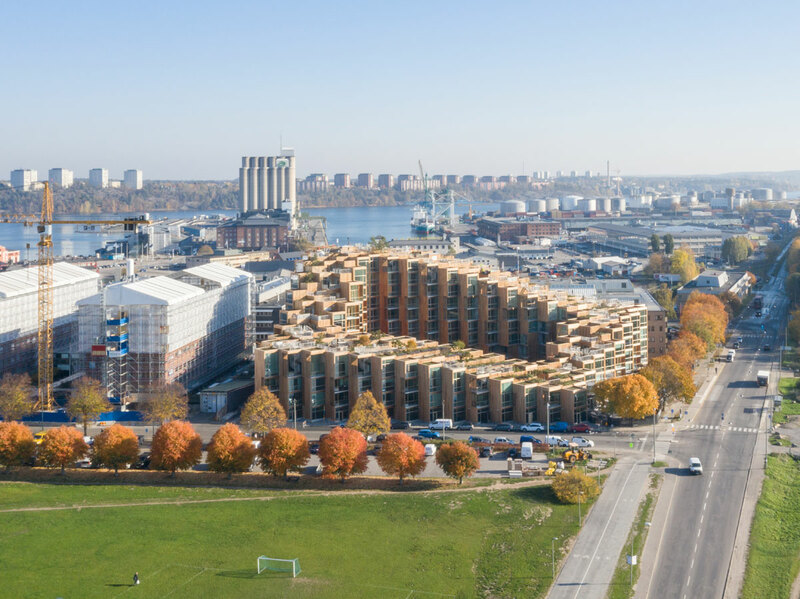 In November 2018, on the same day, two new residential developments were officially presented in Stockholm, the Innovation Tower and 79&Park, the first architectural works built in the Swedish capital by OMA and BIG respectively, commissioned by the same developer, Oscar Properties. Although extremely different in design, a 36-storey tower and a court building of varying but smaller heights, both projects are based on modular compositional systems designed for living. 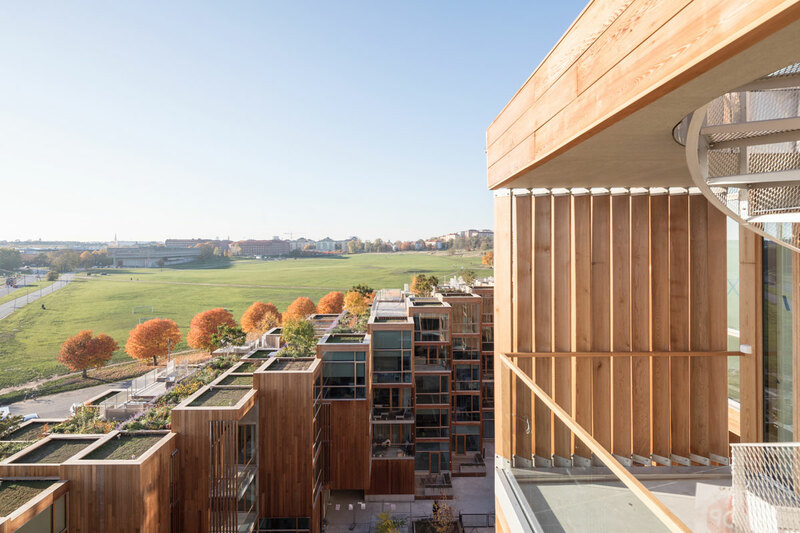 Located at the confines of the Gärdet National Park, 79&Park is defined by Biarke Ingels as an “inhabitable landscape of cascading residences” in a court building conceived with the aim of combining a suburban-type dwelling, that has the benefits of privacy and the closeness of green areas, with the qualities of city living. 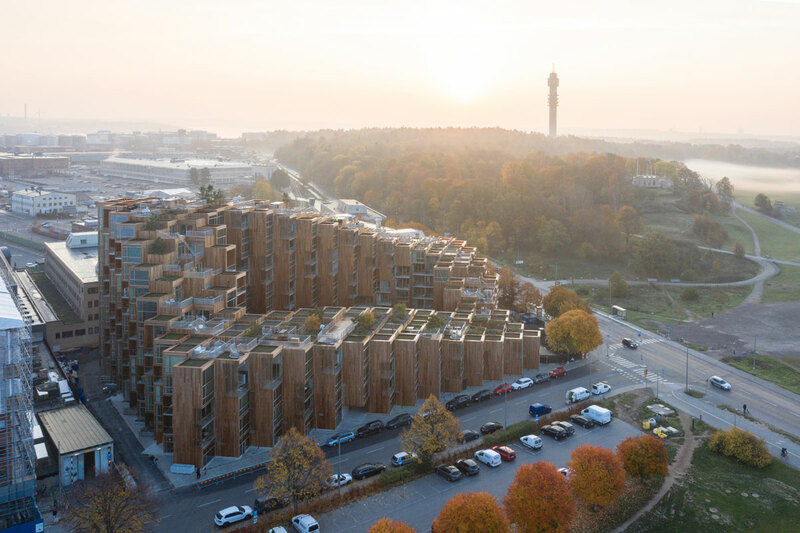 Here, the ‘inhabitable landscape’ assumes the topography of a hillside ascent, obtained by raising the north-east corner of the perimeter to a height of 45 metres – to maximise the presence of natural light and the view of the forest and the port of Frihamnen in the part closer to the city – and at the same time lowering the opposite corner to just 7 meters in height, to connecti it to a wooden platform towards the wooded area. 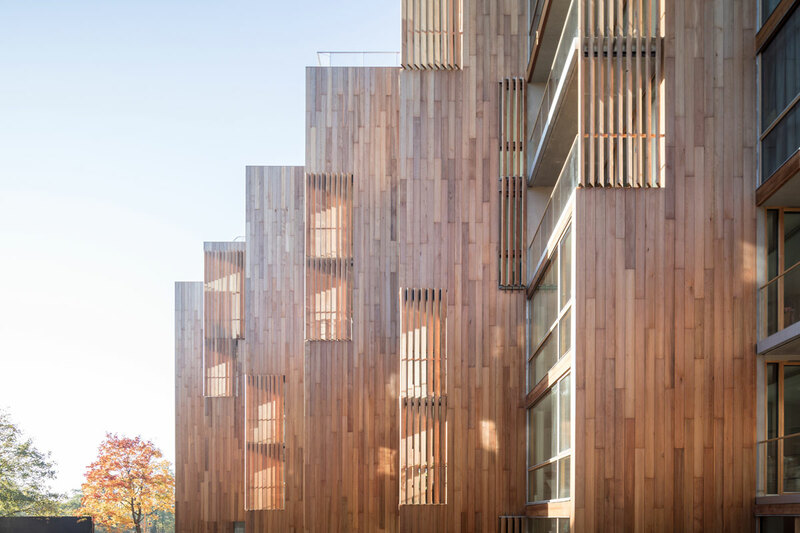 However, the ‘hilly landscape’ changes not only in the inclinations and heights of the various façades, but also in their surfaces, where cedar wood is combined with glass, alternating more porous and transparent parts with opaque sections, depending on the orientation and the need for visual or thermal protection. 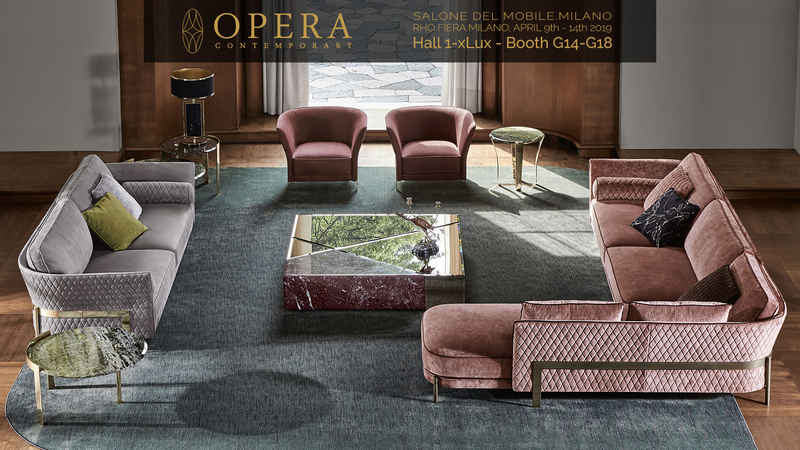 The entire inhabitable conformation is in fact obtained with modules of 3.6×3.6 metres, rotated 45° with respect to one another, which together produce a visual pixelated language. 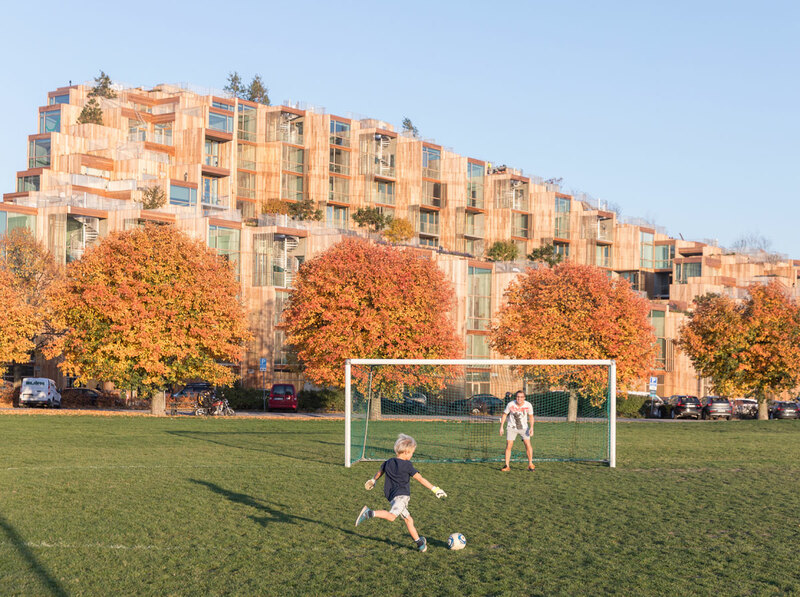 The 169 homes have different layouts with large windows on private verandas, in addition to access to the terraced roof, a vast common green space enriched with an abundance of vegetation, perennial herbaceous plants, trees and bushes that remain green in the various seasons of the year. 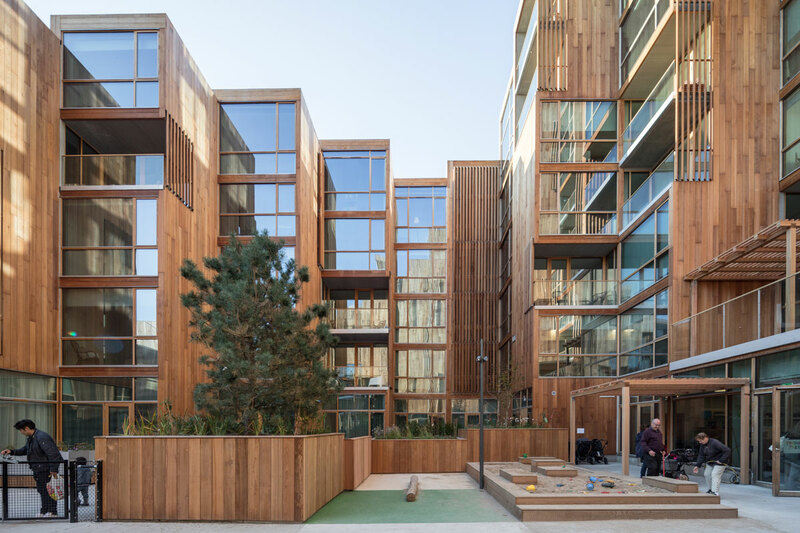 Vegetation and cladding in cedar wood also characterise the internal courtyard, an ‘organic landscape’ created with platforms of different widths and heights that identify areas dedicated to different activities or services, including a kindergarten, bicycle parking, dog sitter as well as shops open to the public. 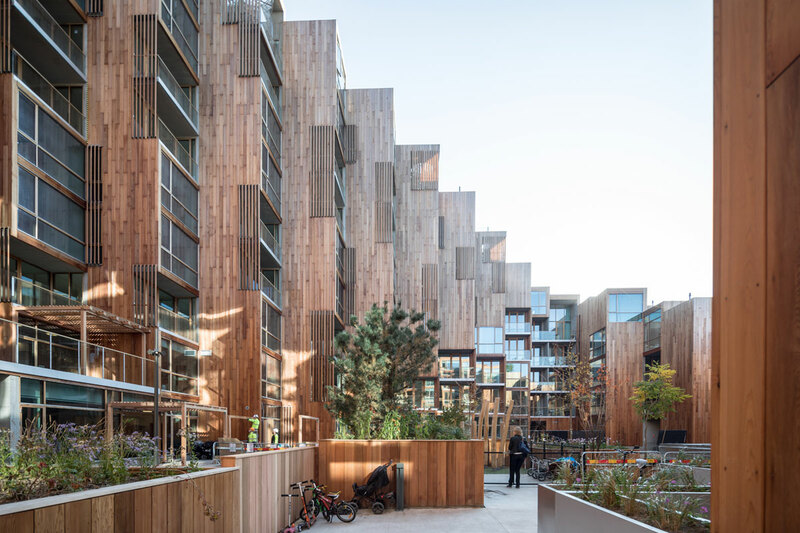 An organised common space that can become an oasis of tranquillity but also instil a sense of belonging to a community of inhabitants.